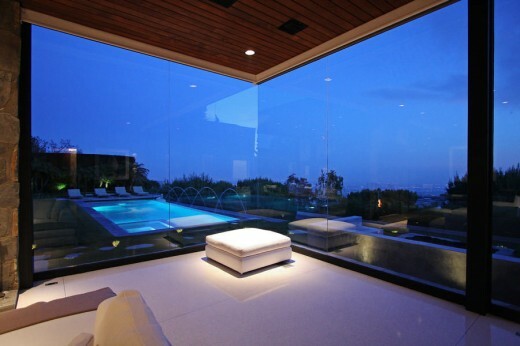 This contemporary oasis located in Beverly Hills is the the vision of Maxime Jacquet. 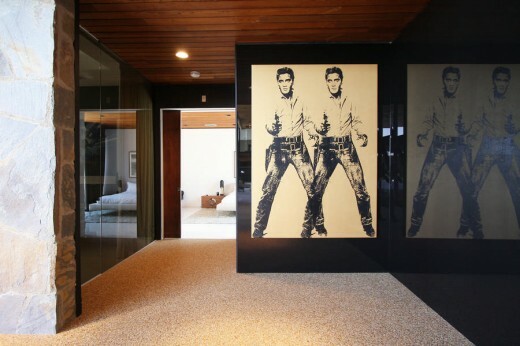 It is a modern space with the unexpected comfort of its high wood ceilings, floor to ceiling windows, rock work, and large art murals of legends like Jimi Hendrix and Elvis Presley. Light is not absent in this space, instead it pours in and washes the beautiful sleek furniture and decor. 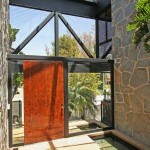 This home has an ambiance of relaxation, warmth, earthy attributes, modern charm, and wealth. 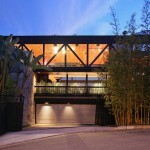 Nesting on top of the mountains in Beverly Hills you will discover an architectural gem that is the Clinton Residence. 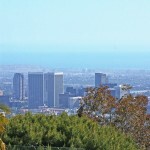 With amazing panoramic views of Downtown Los Angeles to east and the Pacific Ocean to the west sits the California dream home. Designed in 1973 by architect Amir Farr, the 8,032 square foot home provides the perfect living situation to be in the middle of the city, yet living among a very natural environment. 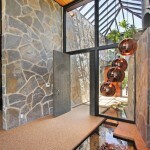 A spectacular the house speaks to nature with an all earth tone color palette. Ever piece is important and focused on with great detail. 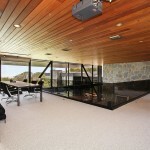 The three most important materials used are wood, glass and stone, which appear as a ribbon throughout the house to connect each element and room. First impressions are crucial and this one will take your breath away. Surprising is the scale at first sight as you stand on the pebble stone coated floor and gaze into the grand living room. This was done intentionally to capture the 70’s concept of open house and archive a movable space. You realize also that the terrazzo outside with the stone and antique inside gives you sense of connection between interior and exterior. This property was made to be true entertainment atmosphere. Perfect sky-high ceilings are ideal for the passionate collector to display huge pieces of artwork. The interior does detach itself from the architecture but everything from furniture to light because it’s so unique to have a house from this period still intact. Most existing material was in good condition to keep and any material if need was refined to reuse it to conserve the environment. Since the environment and naturalism was so important in such a home we did not want to over modernize the style so that is could not feel comfortable. It was so important to the owner to combine size and expansion with a house that your family can live. For material it was seen best not to use cold fabrics such as leather. To keep that California feel to the touch, we used cotton a more delicate and down fabric. The house itself was always vintage, we gracefully put a designers update on the mood. Bedrooms are similar in décor to maintain a very clean as your line of sight passes through floor to ceiling doors. This house is made into a home with a perfect balance between tradition and modernity, luxury and rigor and fashion and comfort. Maxime Jacquet, originally from Belgium, moved to the United States in 2008. Now at the mere age of 25, Maxime has earned himself an elite status in the design industry as a curator and designer of lifestyles. This designer is a force of nature and his work has published world wide in magazines, blogs, and now on television. For such a young designer in the industry, he is thus far, leading a very fortunate career. His clients seek out his keen sense of style and ability to fuse high fashion into all of his work. Maxime’s eclectic process incorporating fashion and interiors has become his signature style that has made him highly sought after by art collectors, fashion icons and celebrity personalities around the globe. 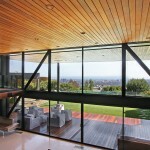 Maxime Jacquet is an architectural visionary specializing in interior sophistication. He lives in Los Angeles and travels around the globe creating lifestyles and dreams for those who seek him.